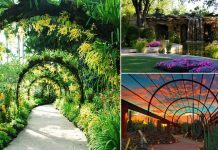 Get inspired by these easy, fast and cheap ideas to make your garden look great. All of these ideas are very practical and do not require so many efforts or money. 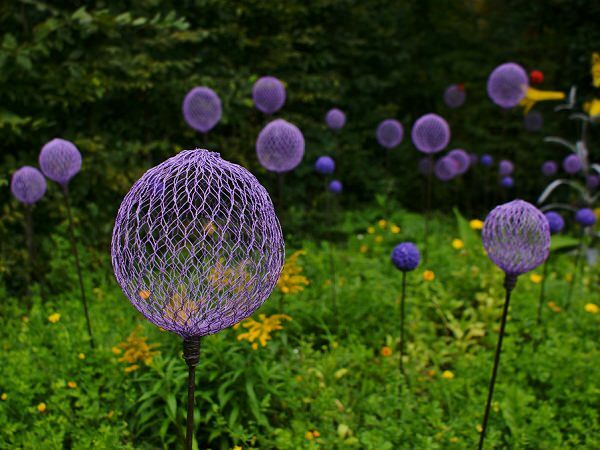 Make a few of these faux allium flowers with chicken wire and paint to create these everlasting alliums. It’s a new trend, recycling the objects! 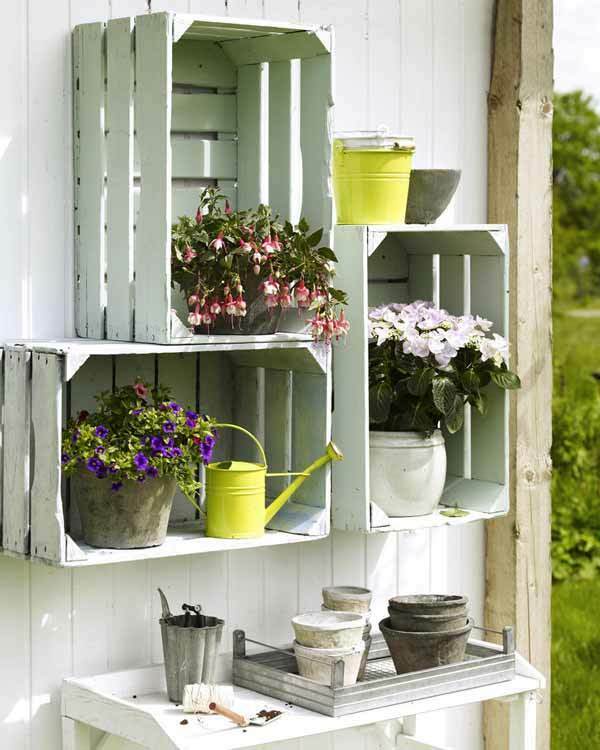 Wooden crates can be repainted and turned into beautiful and natural shelves. It’s easy and an inexpensive idea. 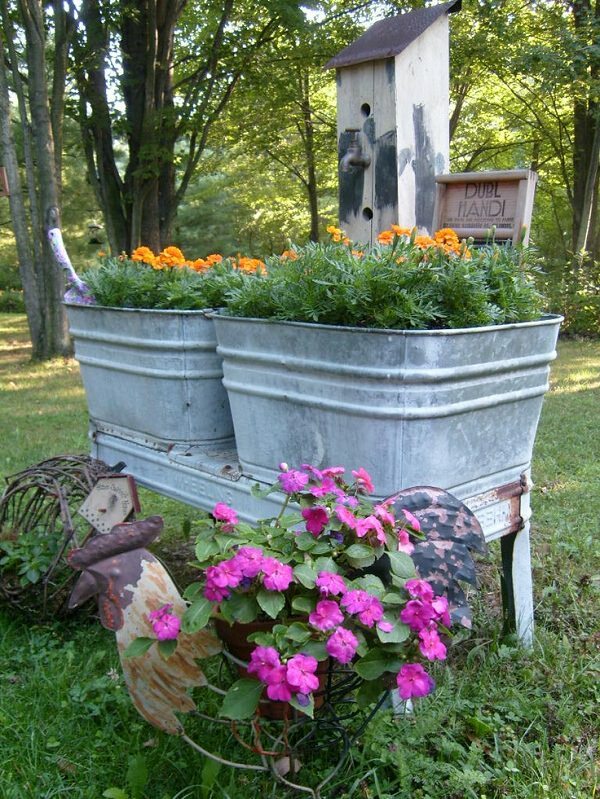 Use metal bed frame, old furniture, and chairs to make planters out of them. Check out these chair planter ideas. 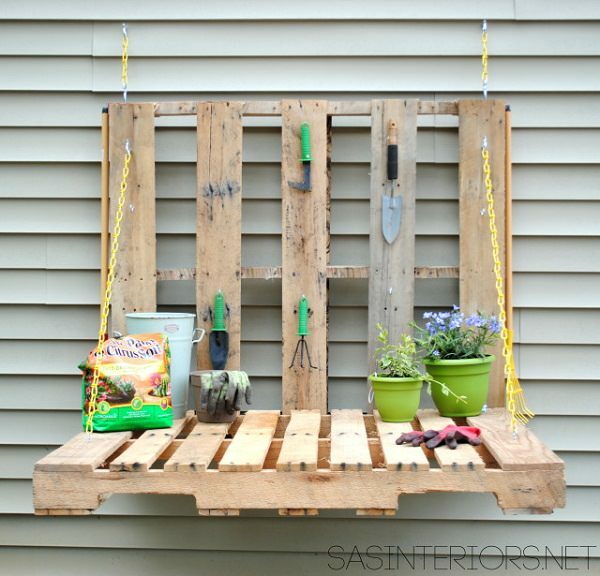 Make this cheap and excellent garden table from pallets. Check out the tutorial. 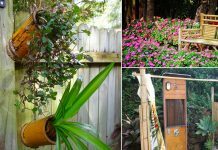 Another way to decorate the garden is using old PVC pipes. To do this, first, make the holes so that you can insert the plants, cover the base of the pipe so that the soil will not fall and then plant the plants. Learn how to make PVC plant tower on Instructables. 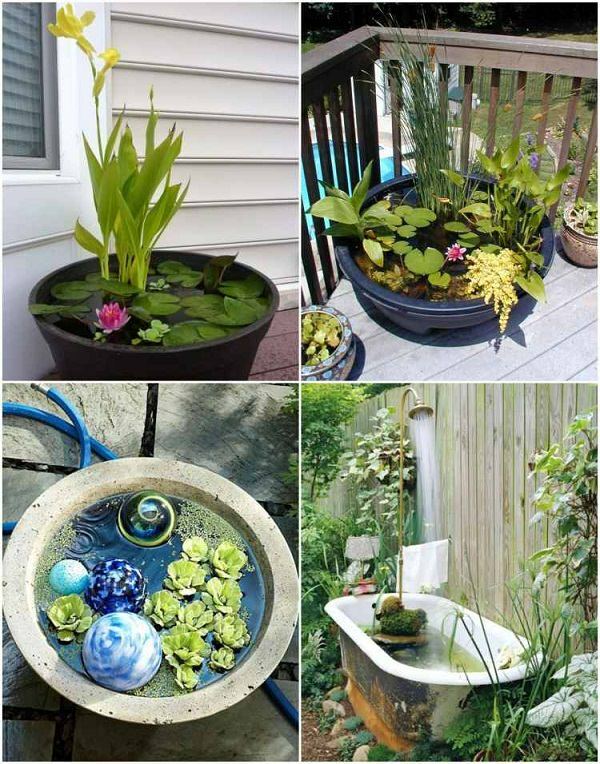 Recycle old stuff that you have at home, look at this idea– planters made from old wash tubs. Here you can see more planter ideas from household items. Spilled flower pot is a gorgeous idea that you can follow. Create an astonishing cascading appearance from flowers. For this, all you need is a pot and a few ground cover plants. Learn how to make it in our post. Brilliant idea! Have some terracotta pots? 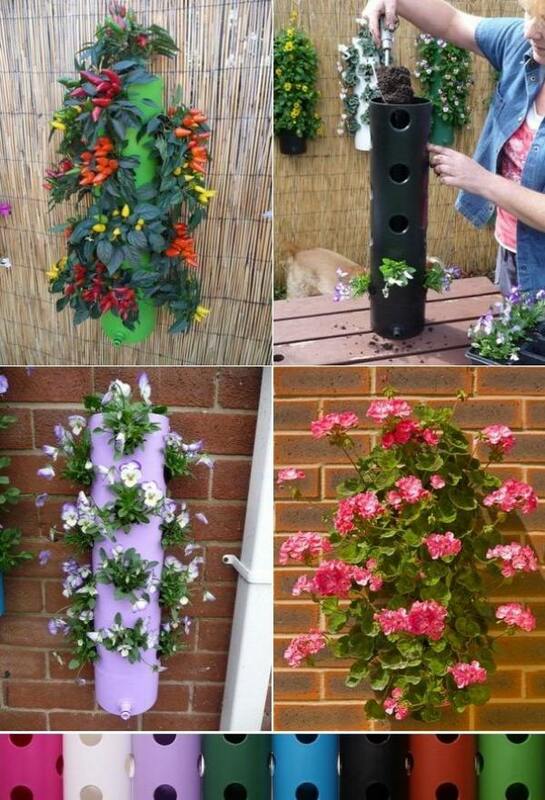 Employ them to make a flower pot tower planter, also, add a feeder at the top. Here’s the tutorial. 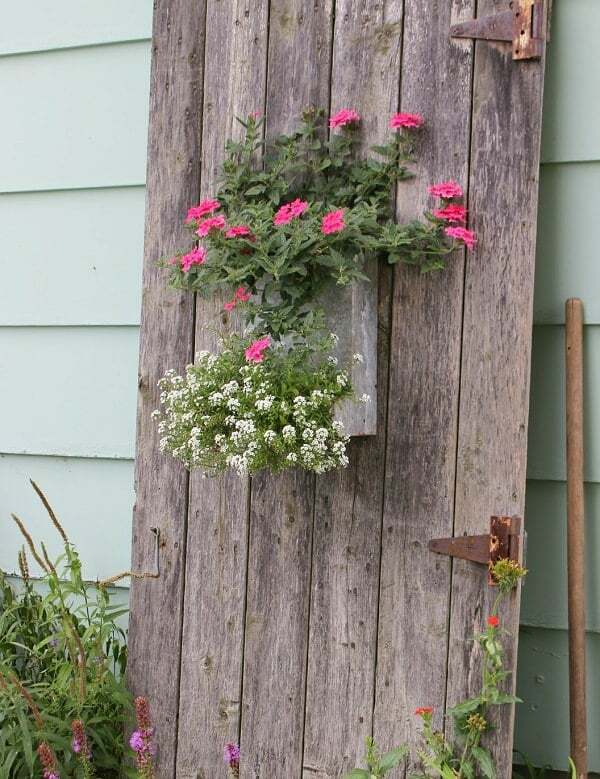 Give an unusual touch to an old door, attach a planter or a window box and grow some colorful annuals in it. Either keep it the same or paint bright colors on it. 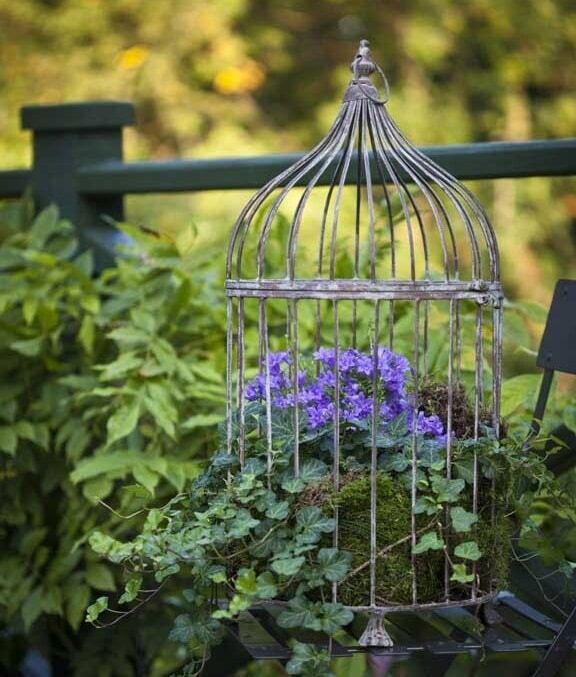 Grow flowers or some decorative foliage plants in a bird cage and hang it in the visible spot. It will become a focal point. Make a water fountain, see the DIY article on Instructables. 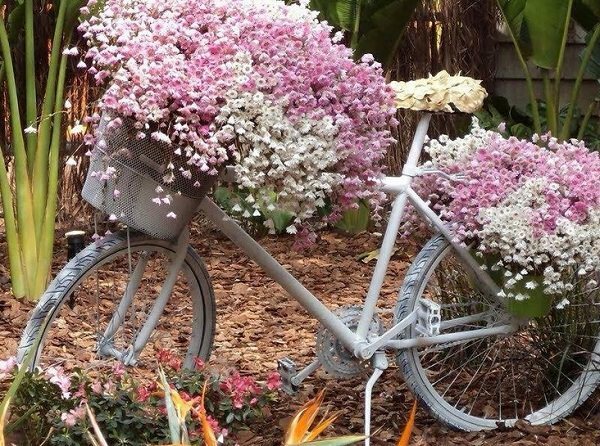 Decorate the garden by recycling an old bicycle into a planter. 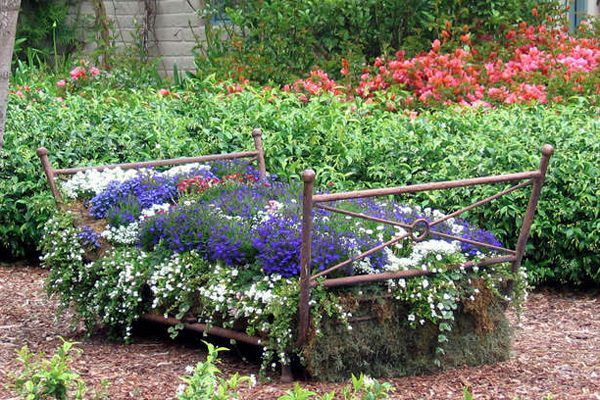 This will become the most eye-catching planter of your garden. 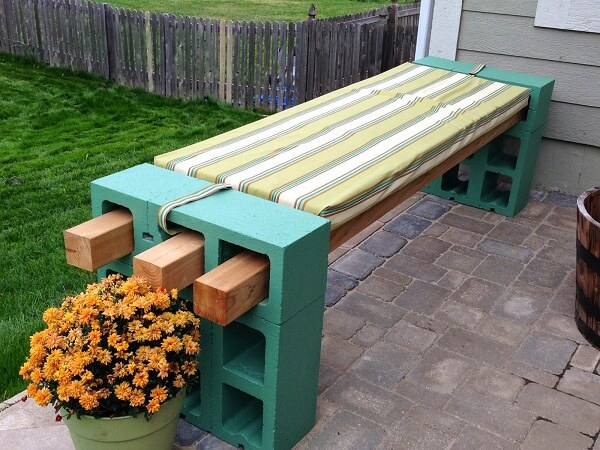 If you have got a few cinder blocks, you can make a bench out of them. All you need to do is to arrange them as in the image above, secure them with adhesive and insert wood slats in between the cinder block holes. That’s it! 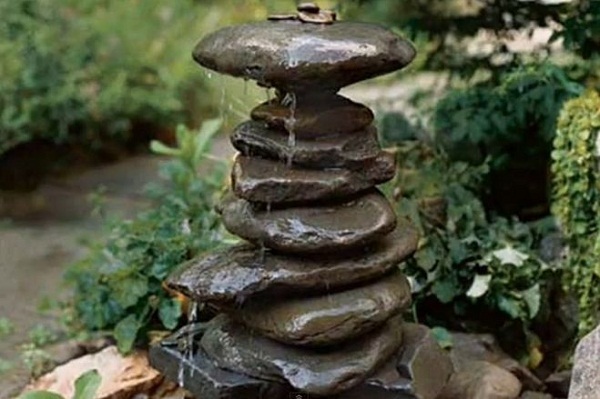 Do you want to add a water feature to your small garden but don’t have space? If yes, then create a pond in a pot. You can also make it in a bucket or bathtub. Learn how to make it. 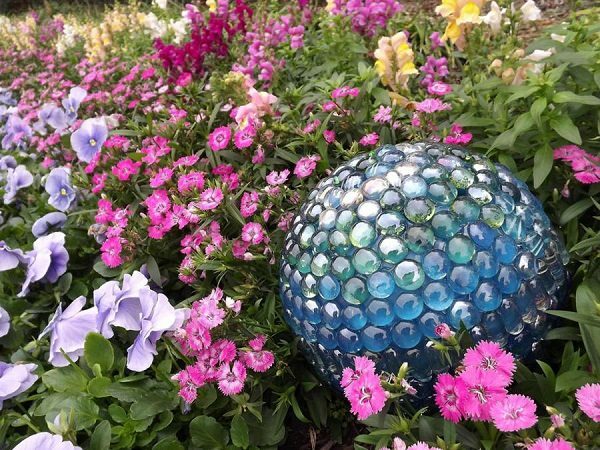 A shiny gazing ball can add an amazing effect to any planting bed. 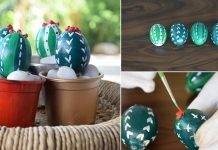 For this, you’ll need an old bowling ball, some embellishments, adhesive, and little time to create this beautiful accent. Very popular! 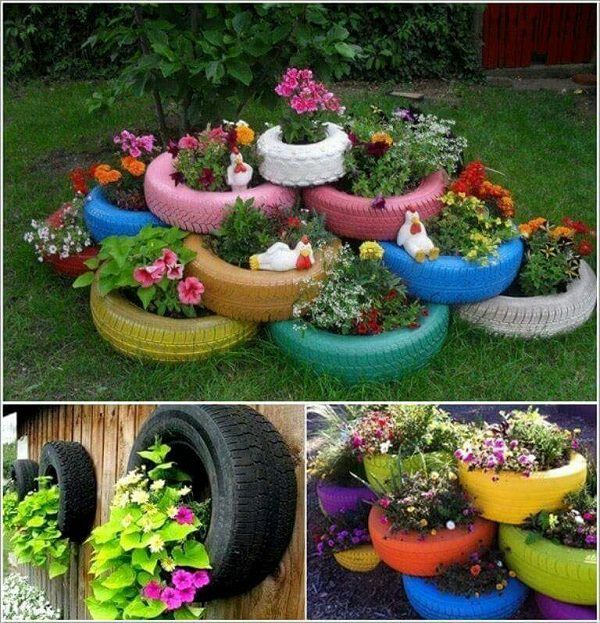 Old tires are inexpensive, and they have various decorative uses in the garden. You can wash and spray paint them in your favorite color. 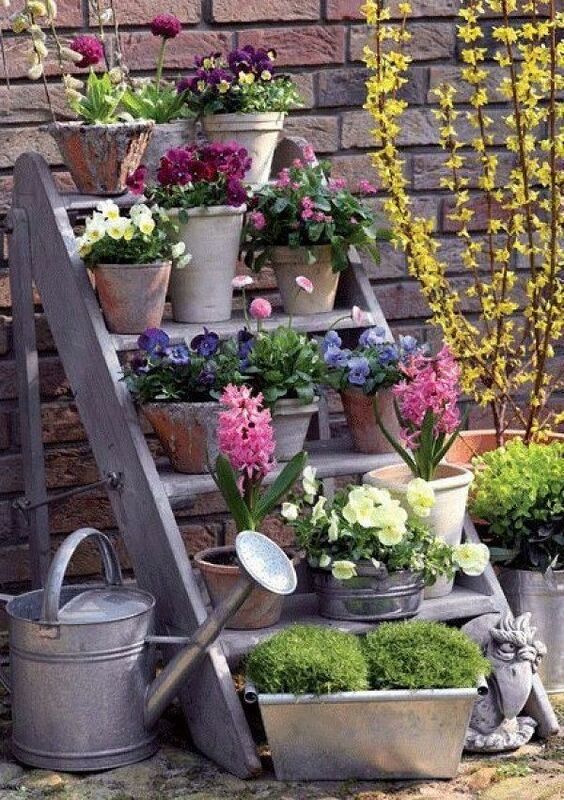 Get an old staircase, paint it and use it to keep the pots. Excellent idea if you don’t have much space in the garden. 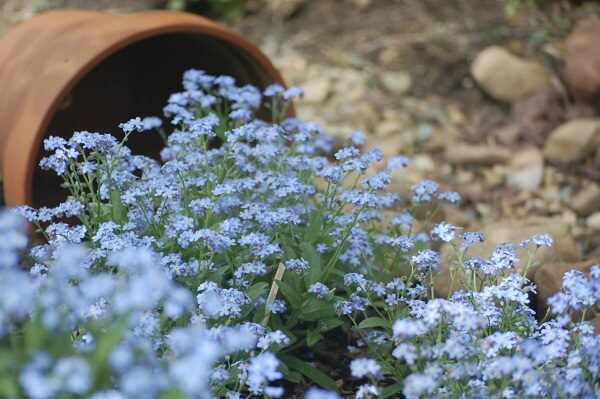 If there are accumulated logs or tree stumps in your backyard, you can put planters on them or grow plants in them. 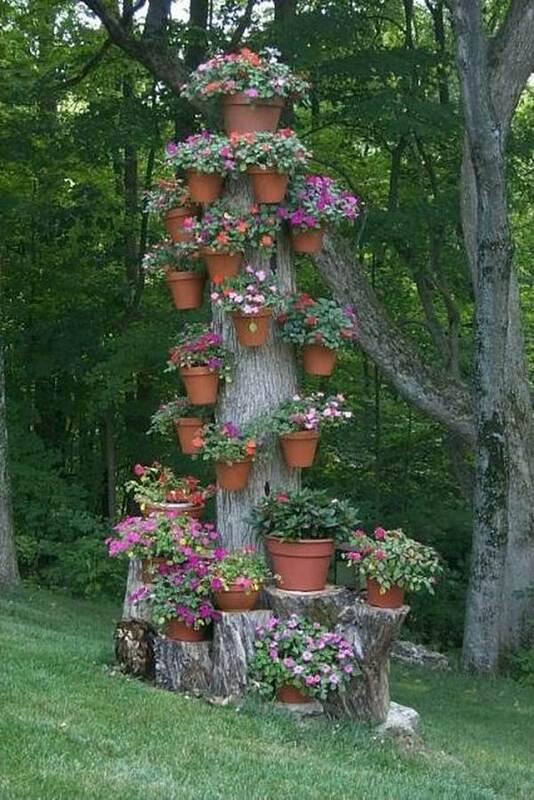 See more tree stump planter ideas here.